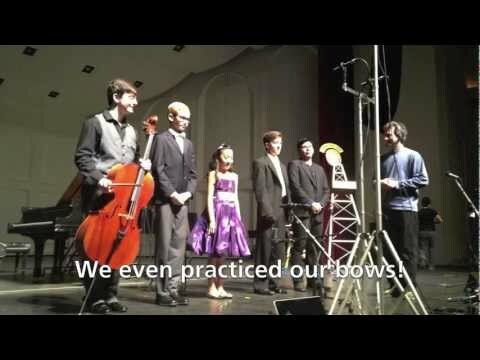 Augustus Woodrow-Tomizuka appeared on Show 268, recorded in February 2013, at age 17. Augustus Woodrow-Tomizuka (guitar), 17, is from Tucson, Arizona where he studies with Thomas Patterson. 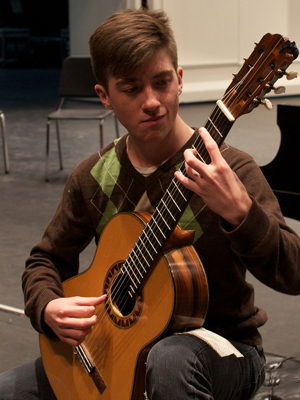 He placed second in the Senior Youth Division of the 2012 Indiana International Guitar Competition. He has performed with indie band PicassoÕs Wall, as well as with various Mariachi groups, around the Tucson area. A student at Sonoran Science Academy, he is passionate about conservation work and volunteers at the Reid Park Zoo; in 2010, he traveled to Churchill, Manitoba to study polar bears on scholarship.